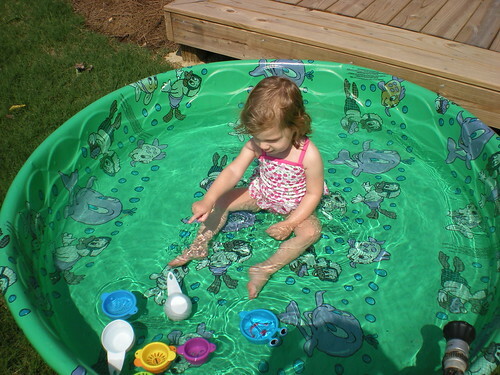 Well since it has been too hot for April and May, I went into the attic and busted out the pool last Friday for Ella Kate. She loved it. Loves the water loves everything about it. 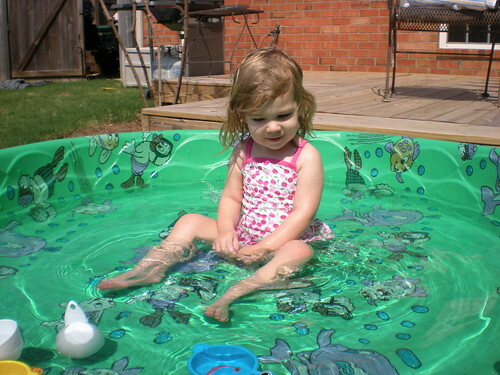 We had our first swimming lesson last Saturday and she kept saying I get in…I get in…I get in…before our class started…and she tore it up. I’m glad she liked it…there were two kids who screamed bloody murder the entire time. 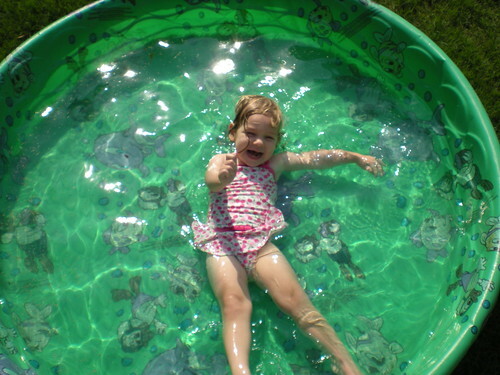 I was thinking about joining a gym that has a big pool for the summer, but decided against it…I think this pool will be perfect for her this summer, perhaps next summer…that is if Mimi and Papa will agree to put their pool in!! Hint hint! 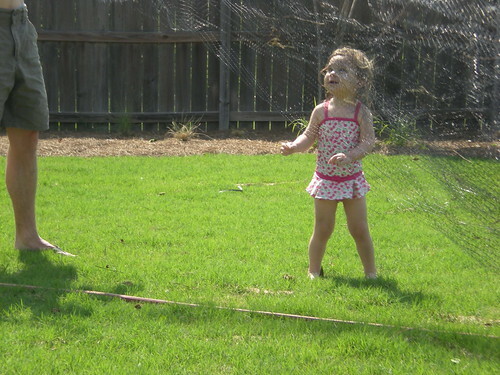 And here we are helping Dad with the bird netting that covers our grapes. She got all balled up in it.